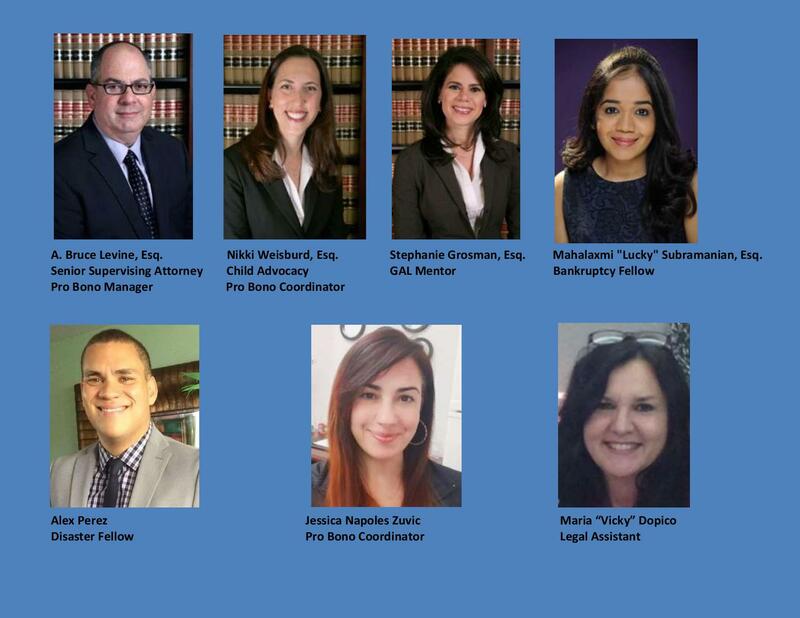 Dade Legal Aid/Put Something Back in collaboration with the American College of Bankruptcy and The Bankruptcy Bar Association Southern District of Florida is able to provide pro bono assistance to low-income clients in Miami Dade County with bankruptcy issues. In addition, training is available through seminars and mentors to attorneys interested in learning about this area of the law. Please see below for further information. Need an Attorney? Put Something Back offers FREE assistance for indigent debtors on Tuesdays and Thursdays from 8:30 – 11:00 am at 123 NW 1 Ave, Miami, FL 33128. Clients are seen on a first come/first serve walk-in basis. Clients must bring proof of income, current photo I.D and other documentation. For clients in need of Bankruptcy assistance, Click here for list of required documents in order to be considered for services. For questions about whether you qualify for an attorney, email bankruptcy@dadelegalaid.org or visit Dade Legal Aid, 123 NW First Avenue, Miami, FL 33128 or attend a Pro Se Clinic (see below). PSB does not accept emergencies and cannot guarantee that your case will be accepted, referred or represented and it may take several weeks for cases to be processed or referred. Dade Legal Aid provides appropriate auxiliary aids and services at no cost to deaf or hard of hearing clients and companions. Not sure whether Bankruptcy is Right for You? Visit a FREE Pro Se Bankruptcy Clinic. If you are “Pro Se” or self-represented, please attend a clinic to watch a 45 minute video presentation outlining procedures for filing bankruptcy and other consumer law topics and ask questions of Pro Bono Attorneys. Miami Clinics are held each month from 12 noon – 2 pm in partnership with The Bankruptcy Bar Association of the Southern District, American College of Bankruptcy Foundation and Put Something Back. ALL WELCOME TO ATTEND. NO APPOINTMENT NECESSARY. Miami clinics are located at 301 North Miami Avenue. This is a FREE service and the attorneys are not there to attempt to acquire you as clients, or to ask you to pay them for advice or future services. Click here for more information about the US Bankruptcy Courts. The Honorable Laurel Myerson Isicoff, Chief Judge of the United States Bankruptcy Court of the Southern District of Florida. Judge Isicoff has been a leader in pro bono representation, diversity, inclusion and professionalism throughout her 36-year distinguished legal career. IF YOU WOULD LIKE TO VOLUNTEER, ACCEPT A PRO BONO CASE OR MAKE A DONATION, PLEASE CLICK HERE.